This is an upbeat festival band that thrills audiences at all of Europe’s biggest shindigs, including Glastonbury, WOMAD, and Montreux Jazz Festival. 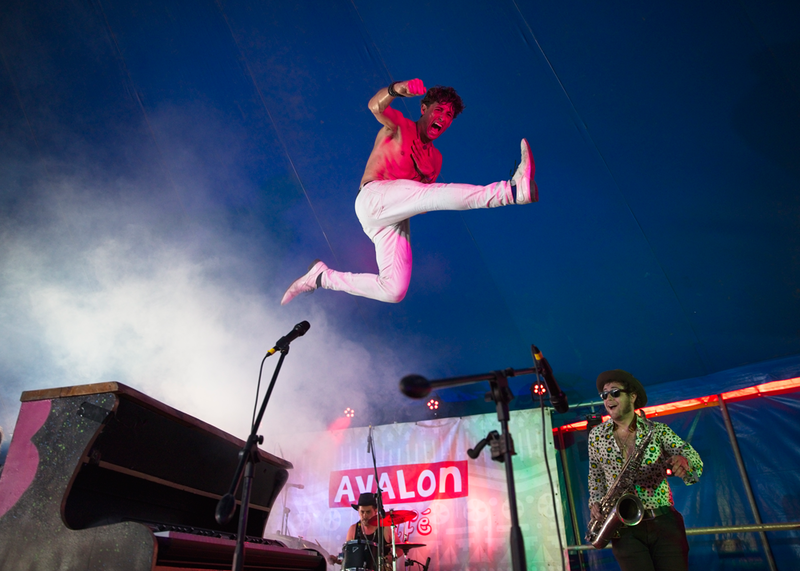 Most people remember Tankus the Henge for its wild showmanship; frontman Jaz Delorean occupies the stage with jagger-esque aplomb, leaping from on top of a smoking piano and launching into the audience like an athlete, whenever the moment takes him. One of the band’s great strengths is its musical agility, that allows Tankus the Henge to incorporate a vast range of genres. Rock, funk, blues, ska, and gypsy music are all there, always underpinned by an infectious energy that contrasts with lyrics that tell stories of wonder and woe. Since the release of a first album, the band has toured extensively across Europe, playing at the London Olympics, and was even named by Metro as one of its “Top 10 Acts To See” at Glastonbury Festival. Support comes from Rivermouth; he’s the lead singer of Cavemouth, the swamp-blues outfit that has featured on BBc 6music’s Introducing and played at events such as HowTheLightGetsIn. £10 adv., £9 adv Theatre Friends, £12.50 door.